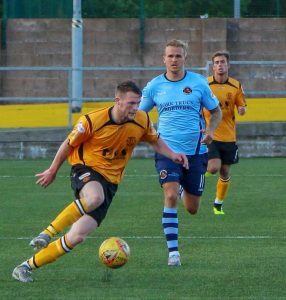 The club are delighted to announce that midfielder Tony Wallace has agreed terms and signed for the coming season. The attacking midfielder who was with Lowland League side East Kilbride last season becomes the managers fifth new signing of the summer. 27 year old Wallace began his senior career at Dumbarton before making the move to Greenock Morton. He has since played for East Fife as well as BSC Glasgow and East Kilbride.